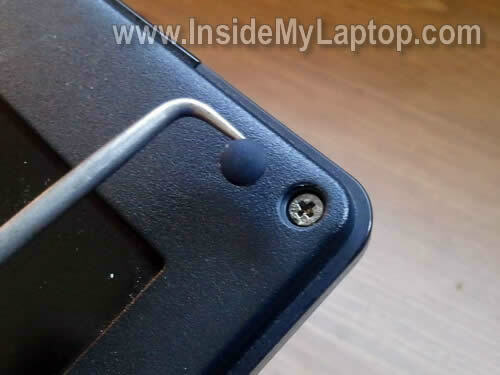 There are four screw covers on the front bezel. You can remove these covers with a sharp object. Each cover has sticky bottom. You can glue all covers somewhere on the screen bezel so they don’t get lost. After that remove all four screws found under those covers. Continue removing it from the display assembly. The inverter mounted on the lower part of the display. There are two cables connected to the inverter. The left side connected to the video cable. The right right side connected to the CCFL lamp (which is mounted inside the LCD). 1. 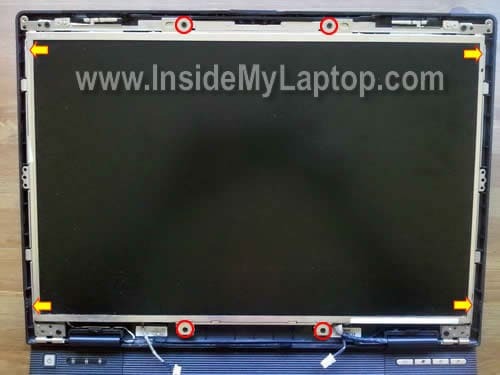 Remove four screws on the front (red circles). 2. Remove four screws on left and right sides (yellow arrows). 3. 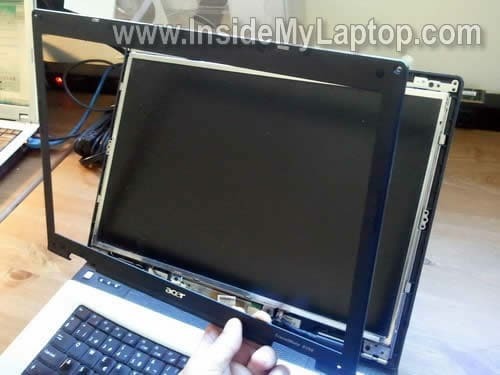 Carefully separate the LCD from the display cover and place the front side down on the keyboard. 4. Unplug the video cable connector on the back. Now you should be able to remove the screen and replace it with a new one. Thank you very much for this information, this is very useful particularly for those people who are using acer laptop (travelmate series). 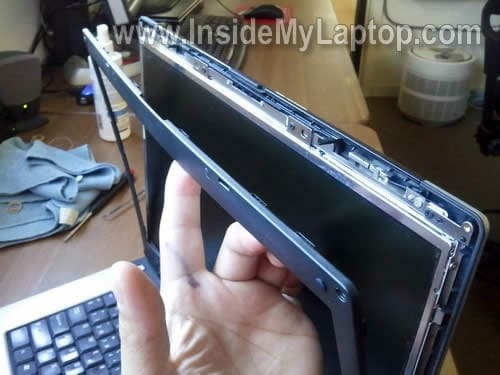 Thanks’ for your clear explanation about changing the inverter of a Acer 8100. I still have a question. My screen went black after switching on. Some shadows were visible, so I changed the inverter. Now I have a nice screen after switching on but within 1 minute it turns to black. fnF6 helps only for a short while. I googled and there are a lot of people with this problem. I found a solution by pressing the fn and f6 button permanent (fixed with a paperclip). The screen keeps working well. Do you have any idea what the problem can be, or what the solution is? 1. It’s possible the new inverter is defective. It’s not a bad as the original one, but still fails after a while. 2. 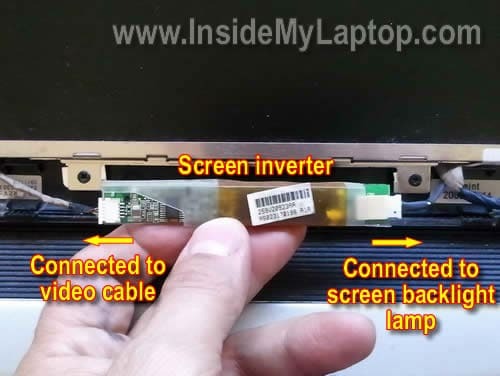 If it’s not the inverter board failure than most likely you have a failing backlight lamp inside the LCD screen. If that’s the case, your next step would be replacing the screen. After reading your step-by-step guide I’m seriously considering fixing my Acer Travelmate 2490. I have a problem with my backlight flickering, depending on the angle of the screen. Sometimes I have to open and close the cover several times until the backlight stays on. If I press against the back of the screen, the backlight turns on, but as soon as I take my hand away it switches off again. It seems like a loose contact. Are there any contacts on the backside of the screen that could come loose? 1. Could be loose connection between video cable and inverter board. Try reconnecting the cable. 2. If it doesn’t help, this could be defective LCD cable. Maybe it has pinched wire inside the harness. If that’s the case, the video harness has to be replaced. I did open the case and once it was opened, I couldn’t get the screen to flicker. I closed the case again and now the problem is almost gone. Only shortly before the lid is shut I can notice a slight flicker. So, now I have a working notebook thanks to your guide. This is an important information for me. My laptop is travelmate 6291. It seems to me that the structure is the same with the one you explain. I feel that the screen starts getting dimmer. I have to set the brightness control at the maximum so that I can easily read the text. What is the best guess for fixing this problem? 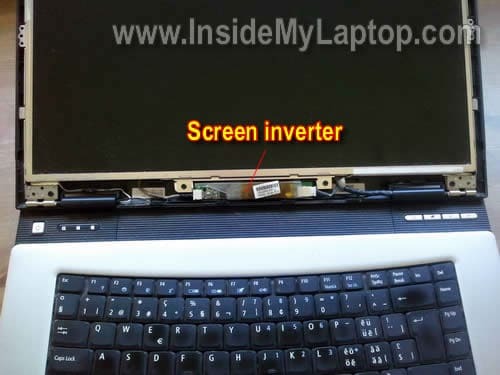 Is it the inverter or the lcd panel? You certainly deserve any donation sent to you (multiplied 1 million times), for your modesty, whilst beeing a genious (!). 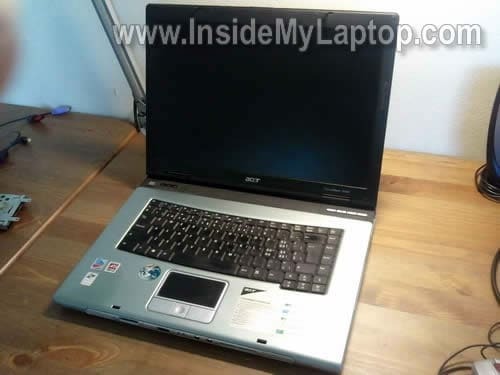 I didn’t have to repair any laptop, but following this guide of yours and putting in practice your instructions on an already cannibalized Acer Travelmate 2490 (just for …training), I could realize that all your instructions (including those in your other guides, related to other parts of a laptop) HELP A LOT in dealing with laptop maintenance (!!). 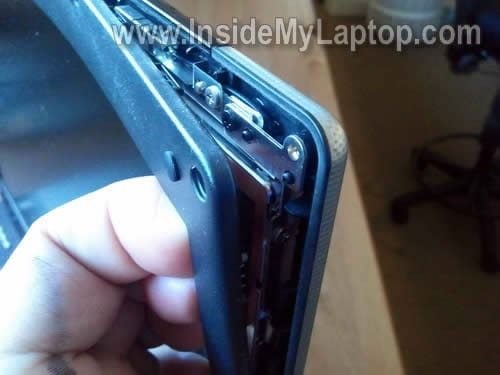 This guide here certainly applies to Acer Travelmate 2490 also. Screen in my Acer Travelmate 8371 went black. I’ve been told it may be backlight or inverter. I’ve been trying to buy new inverter for Acer Travelmate 8371 / 733G32n to replace it but Acer says I need to replace whole LDC- rather expensive. Is it possible to buy inverter for Travelmate 8371 / 733G32n: I tried different sites and I can never find inverter for this specific model. I used this guide to replace the screen on a TravelMate 4233 and just wanted to say thank you. It took me no time at all to change out using your guide! Thank you for mentioning the model number. 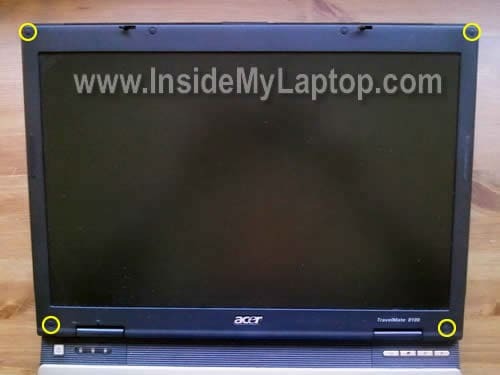 In most cases it’s possible to apply the same guide to many different Acer laptops. This is an excellent site! I know you worked hard and long to complie this much documentation.